The more you know, the less clearly you write. That’s a simple way of summing up one of APS Fellow Steven A. Pinker’s key insights on the cognitive and psycholinguistic factors that fuel arcane, awkward prose — including scholarly text. Pinker, a linguist at Harvard University, discusses this so-called curse of knowledge in his latest book, The Sense of Style: The Thinking Person’s Guide to Writing in the 21st Century. During his APS–David Myers Distinguished Lecture on the Science and Craft of Teaching Psychological Science at the APS Annual Convention in New York City he addressed the points he raises in the book. The curse of knowledge is only one of many writing pitfalls — from excessive clichés to the abuse of passive voice — that Pinker discussed. 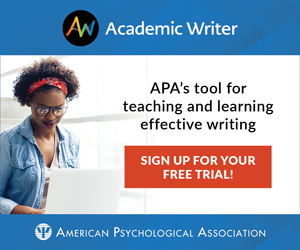 But it’s one that is especially pertinent to students crafting term papers and scholars submitting research articles to journals — and, for that matter, teachers of psychology because many of the principles of clear and effective writing also apply to teaching. He uses as a paradigm a common theory-of-mind task in which the experimenters invite young children into a lab and hand them a candy box. Expecting to find candy, the children instead find the box contains pencils. Ultimately, the children not only believe that other children entering the lab will expect to find pencils rather than candy in the box, but will say that they themselves knew all along what the box really contained. The children simply can’t reconstruct their prior ignorance about the bag’s contents (Wimmer & Perner, 1983). Many studies show that while children outgrow the most flagrant errors produced by this cognitive limitation, adults still are saddled with a version of it, Pinker said. We assume others understand the words we use, share the same skills we possess, and know the obscure facts that we perceive as common knowledge. The slow and integrative nature of conscious perception is confirmed behaviorally by observations such as the “rabbit illusion” and its variants, where the way in which a stimulus is ultimately perceived is influenced by poststimulus events arising several hundreds of milliseconds after the original stimulus. “Well, why didn’t they just say that?” Pinker asked, drawing chuckles from the audience. The idea behind the experiment is that later arm taps influenced where the individual experienced the earlier taps, indicating that consciousness does not track events in real time but edits experience after the fact to make events more coherent. But the jargon-laden sentence describing the finding did nothing to explain that reasoning, Pinker said, and so was less, rather than more, scientific. “By being able to visualize the experiment, to follow the logic, you’re in a position to evaluate it, to see if there might be some other explanation for the rabbit illusion — something you cannot do when it’s described in abstract language like ‘stimulus’ and ‘poststimulus event,’” Pinker said. But countering the curse of knowledge involves more than just empathizing with the reader, since social psychology studies show “that we’re not very good at figuring out what other people are thinking, even when we try really, really hard,” Pinker said. Writers should, for example, show early drafts of their work to a representative reader. “You’d often be surprised to find that what’s obvious to you is not obvious to anyone else,” he said. They also can rewrite their piece several times without adding content, with the single goal of simply making the prose understandable, he added. Pinker endorses a “classic style” of writing, which he describes as more visually descriptive and conversational than the agonizingly self-conscious, defensive style that academics naturally fall into. It avoids the soggy apologies and hedges that are common in the journals, with words like somewhat, nearly, relatively, and apparently peppering the prose. Pinker also cautions against mindlessly obeying the sticklers’ rules of “correct” usage, noting that rules of usage are at best simply “tacit, evolving conventions.” Scholars have found, he noted, that many alleged rules defy logic, are flouted by the world’s best writers, and are little more than grammatical folklore. Modern dictionaries, for example, okay the use of the long-derided (albeit commonly used) split infinitive, he said. Pinker, S. (2014). The sense of style: The thinking person’s guide to writing in the 21st century. New York, NY: Penguin. Wimmer, H., & Perner, J. (1983). Beliefs about beliefs: Representation and constraining function of wrong beliefs in young children’s understanding of deception. Cognition, 13, 103–128. I found your article timely for my circumstances. Freshly out of academic studies with a hard drive and jump drive filled with what seems like a decade worth of my compiled academic research papers, I find I’m having difficulty writing for a blog. “Grammar check” type sites score one’s blog post(prior to posting)for levels of readability. I can’t seem to achieve a rating that is “ideal” for blog posts. Pretty funny actually. This was an excellent presentation. I’m sorry I missed the convention. Student’s budget. However, I have an excuse: I’m writing my doctoral dissertation. I thought it would be easy….It’s not. Dr. Pinker’s presentation reminded me to be patient and that there are scholars with the same problems I have writing prose. I have a love of words but hate grammar with a passion. It gets in the way! There seems to be a gap between getting your exact thoughts on paper and your hand perceiving your thoughts in the right order. His presentation put writing this dissertation in perspective. So many people think writing a book or dissertation is easy for me. I wish and I wish! So many times what I read is so different than what I’m thinking. What keeps me going is that I feel I have something to communicate and to learn from what I’m doing. Nothing more than that. After this I’m going to try to write the great American novel. I loved reading Herman Melville and Charles Dickens, very simple language. I can’t imagine that anyone well trained in psychology and research, would fail to understand the concepts of “rabbit illusion” and “stimulus.” This is Psychology 101 stuff!